Home Latest Door News & Offers How do fire doors work? Fire doors work to save lives and stop the spread of flame in a building by being manufactured extremely thick with a solid core. Fire doors slow the progress of fire to give people in the building more time to escape and a safer escape route. This is why it’s prudent in stair wells to make sure any door leading to it is a fire door. The two most common types of fire door are FD30 rated doors and FD60 rated doors. FD30 fire doors give at least 30 minutes of fire protection when installed according to guidelines and FD60 fire doors give at least 60 minutes of fire protection. 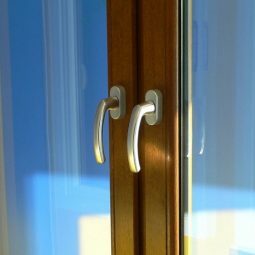 FD60 doors are around 54mm thick and are only really used for commercial purposes. FD30 doors are 45mm thick and they’re perfect for domestic doors as 30 minutes is plenty of time to evacuate a domestic building. What’s the requirement for fire doors in domestic properties? Local councils and building associations police fire ratings of new build properties so if your property is new then it will have met the requirements legally. If you’re working on an extension or large home refurbishment project it’s worth asking your architect where you should place fire doors for maximum protection. Areas with the most risk of fire (from lots of electronics or a fire place for example) are the most prudent places to install fire doors. Any fire doors that become damaged or are being changed for decorative purposes should also be replaced like-for-like, ensuring they remain as fire doors. 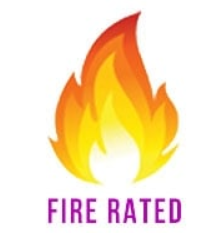 Fire rated doors must be accompanied by fire rated hinges too so as they remain in place even in extreme heat. Each fire door will come with advice on how many hinges is needed, which is legally 3 but it could be more. 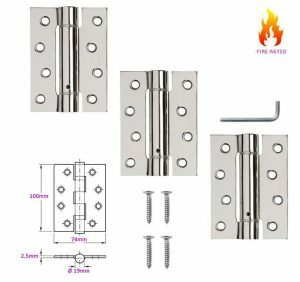 Fire rated hinges are a necessity as regular hinges will warp and break, dropping the fire door under the weight of one and in heat. Fire doors hold back smoke and fire by utilising intumescent strips. 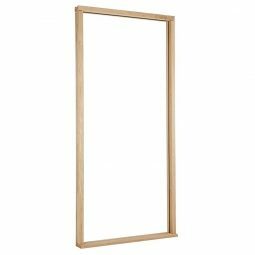 These strips must be installed either around the door or around the inside of the frame. When the strips are heated to a certain temperature they expand to seal the gap between the door and the frame, preventing smoke from travelling. 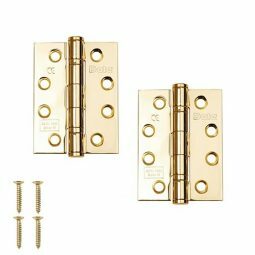 Fire-rated hardware, like the aforementioned hinges, and fire-rated handles should all be included to ensure the fire door will work as expected.